The hosts were nice, and were available whenever we had a question. The location is nice, but seefront means climbing two long flights if stairs to the beach. But at least the beach is accessible, which is rare in Saranda centre. The flat was clean. There is a nice bakery and Spar supermarket nearby. Super Appartment,die Strandlage ca.250 Stufen runter direkt am Strand!Nach 3 Tagen wieder frische Bettwäsche und Handtüscher bekommen.Die Vermieterin war immer erreichbar.Alles in einem :ein ganz tolles Appartment! !Nächstes Jahr werd ich wieder da buchen.Für das Meer sollte man so festes Schuhwerk haben,falls nicht kostet vor Ort ca.5 Euro(günstiger als in Deutschland) Die beste Pizza bekommt ihr die Treppe direkt runter Pizzaria DI GUSTO.Bäckerei gegenüber, Bank zum Geldwechsel auch! !DANKE Eva+Vater für so ein tollen Aufenthalt! La camera era come in foto.. ci hanno accolto anche fuori l orario di check-in senza problemi.. c era tutto lo stretto necessario. One of our best sellers in Sarandë! 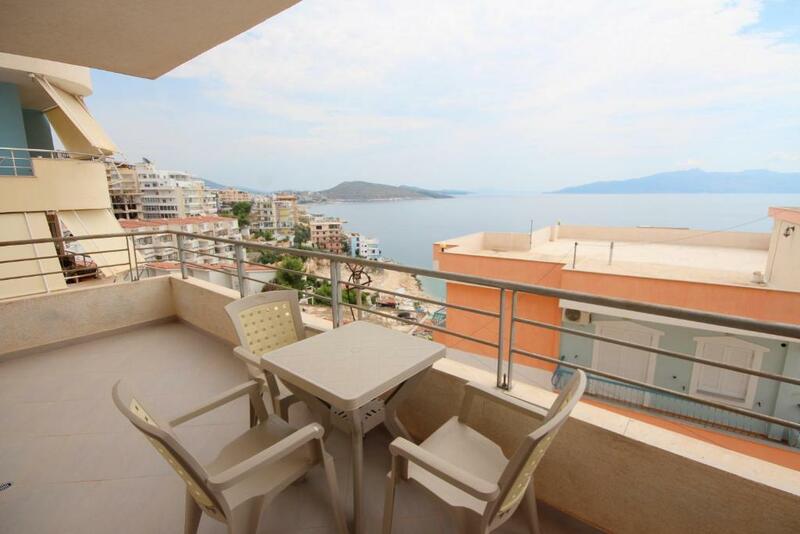 Offering a terrace, Ideal Holiday Apartments has accommodations in Sarandë. Free WiFi is featured. 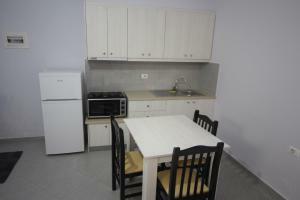 The air-conditioned units have a fully equipped kitchen with dining area and an oven. There's a fully equipped private bathroom with bidet and a hair dryer. If you would like to discover the area, snorkeling, cycling and fishing are possible nearby and the apartment can arrange a bicycle rental service. Corfu is 23 miles from Ideal Holiday Apartments. 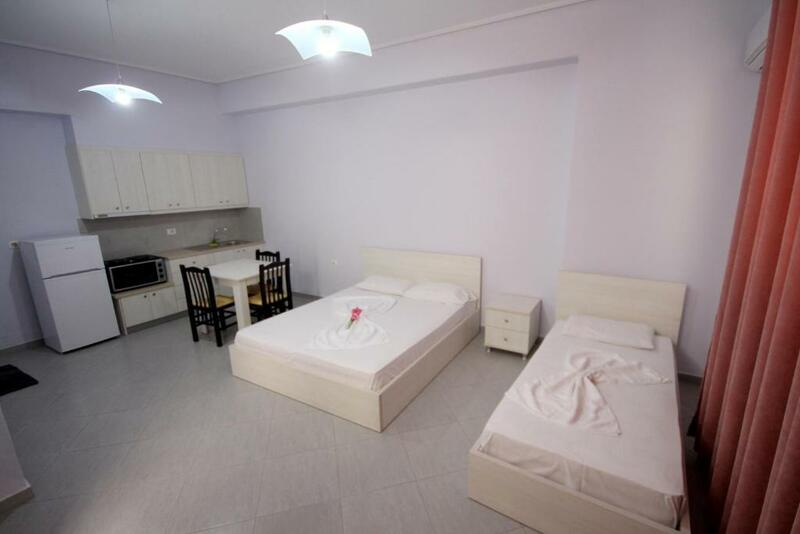 뀐 Located in the top-rated area in Sarandë, this property has an excellent location score of 8.2! 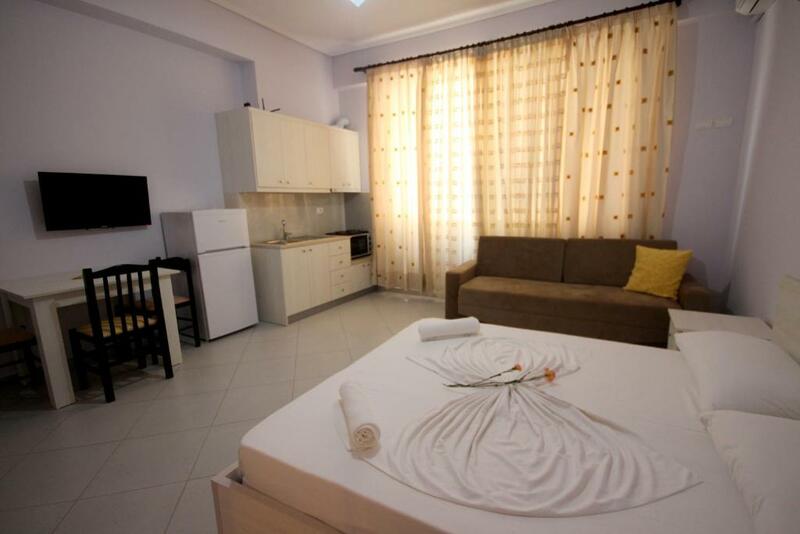 When would you like to stay at Ideal Holiday Apartments? This apartment has a flat-screen TV, balcony and microwave. This apartment features a oven, seating area and private entrance. 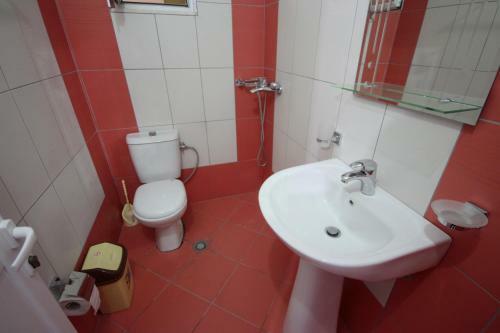 This apartment features a washing machine, private entrance and kitchenware. This apartment has a sofa, kitchenware and private entrance. House Rules Ideal Holiday Apartments takes special requests – add in the next step! Although advertised as an apartment with seaview for 4 people, the flat actually didn't have any view: the windows faced a wall. It was intended for 3 people only, we were short of chairs, and cutlery too. The hosts were nice and arranged a small extra balcony for us in front of the building but obviously it is not the same. I would have been happier if they had warned us in advance that this aptm is too small for us(as it happaned in case of another booking I made.) Always check before booking if the flat really has a balcony and view. Hard to find. I make rezervation with sea wiew...i became room in basement. The owner want more money for appartment i allready make reservation...The owner forgot to give us a key of app.. ..we wait almost hour. The location is terrible. Buildins are very close to eachothrer whithout any order.. We dont like it at all.